Are you looking for professional writing or editorial services? I’m fun to work with – my clients say so! I’m a member of the ProCopywriters’ Network and an Intermediate Member of the Society for Editors and Proofreaders. Ready to get started? Give me a call on 07715 349663 or drop me an email to see how we can work together. 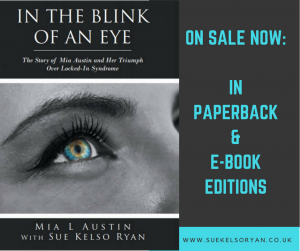 I’m pleased to share the cover of my recent ghostwriting collaboration with Mia Austin, a book telling the story of the young woman’s new life with locked-in syndrome. 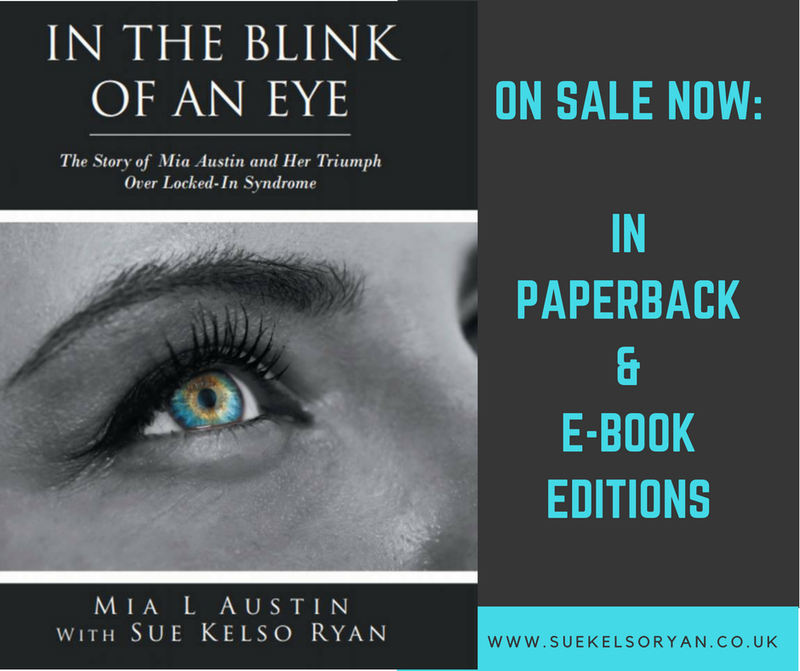 Available on Amazon in paperback and e-book > CLICK TO ORDER. Watch this preview of my book “Never Say Di” – Amazon & Blurb links to buy are on poster, above right. Di Lofting's memoir, as told to Sue Kelso Ryan, is an inspiring story of adventure, courage and friendship. Available as a 205-page illustrated softcover book, from Blurb and as an e-book from Amazon. At least £1 from every sale goes to Dorothy House, which has been supporting Di Lofting in her greatest challenge so far - the battle with cancer. "I laughed and I cried: you’ve captured Di perfectly!" I'm an experienced writer working in Cheltenham, Gloucestershire. I specialise in ghostwriting fiction and non-fiction books. I also offer proofreading and copy editing as well as copywriting and content creation for independent businesses. I work with clients across the UK and wherever the internet reaches. Discover some of the many ways I can help you with your writing tasks. Please browse my portfolio for an idea of the range of my work. "I very much enjoyed working with Sue Kelso Ryan while she was writing copy for a new website and I'm delighted with the end result! ... I would highly recommend Sue and indeed, I hope to work with her on further projects in the future."